Wolf Blitzer is, to borrow a Las Vegas expression, keeping his cards close to his vest. On Tuesday night he will moderate the final GOP primary debate of the year on CNN, televised around the world and streamed live on CNN.com. Ahead of the event, Blitzer is revealing little about what the candidates should expect. But in a pre-debate interview in Vegas, he said one priority will be national security in the wake of terrorist attacks in Paris, France, and San Bernardino, California. "We're going to focus on the #1 issue facing the American people right now, and all the polls suggest that it is the fear of terrorism, ISIS," Blitzer said on Sunday's "Reliable Sources." It is expected to be his only interview ahead of the debate, as he is keeping a low profile while preparing his list of questions. Tuesday night will mark the fifth GOP debate of the presidential election season. "We want to make sure that we get some specifics from the candidates," Blitzer said, nine of whom will be on stage for the prime time debate. Four others will be on stage for the "undercard" round, which Blitzer will also moderate at the Venetian Theatre. Blitzer has moderated eight previous presidential primary debates. His turn on Tuesday night is likely to be the highest-rated one yet, since the previous GOP debates this year have drawn 15 to 25 million viewers. Some analysts believe upwards of 20 million will tune in for this one. 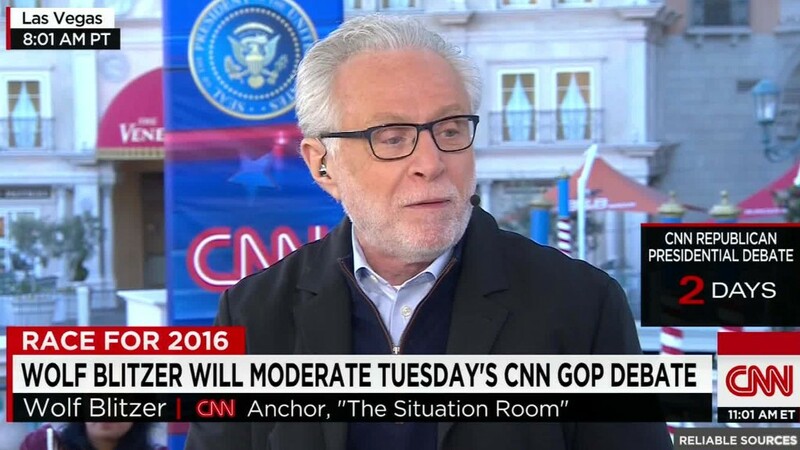 Blitzer noted that Donald Trump has taken credit for the ratings surge and said, "He's probably right." But the added viewership doesn't mean added pressure, he said, because the pressure is already "enormous" on a debate night. "You want to be responsible. You want to be fair. You want to be precise. You want to be accurate," he said. "And you want to be prepared in case one of the candidates says something that may be different than what he or she said a week or two earlier." Blitzer usually anchors three hours every weekday on CNN, but he's off the air on Monday and Tuesday. He is sequestered in a conference room at the Venetian, working with a team of producers and researchers on potential questions and followups. He said he thinks of himself as a "facilitator," there to "make sure that when I throw out a question, they answer the question" and that "if they attack someone else in the process, that other person has a chance to respond." 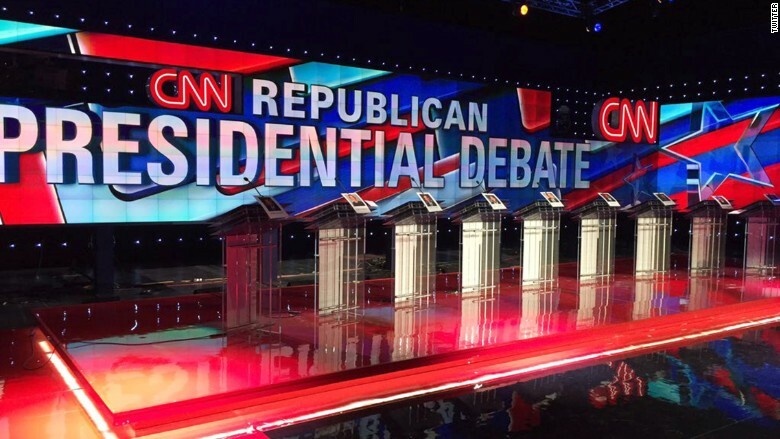 Repeating the format of CNN's GOP debate in September, CNN chief political correspondent Dana Bash and Salem Radio host Hugh Hewitt will join in the questioning of the candidates. CNN's performance is sure to be scrutinized. During the third GOP debate of the cycle, produced by CNBC, the moderators were harshly criticized by viewers, candidates and Republican Party officials. But the fourth debate, produced by Fox Business Network, was generally well-received. Blitzer said he doesn't have any pre-debate rituals, but a good night's sleep the night before is key. A run on the treadmill helps too. "I really feel blessed that I have this opportunity," he said. "One of these men or women could be the next president of the United States. And when you're a journalist and you have that opportunity, you have a responsibility — you take it very, very seriously. I'm grateful to CNN and grateful to our viewers that they allow me to do this."